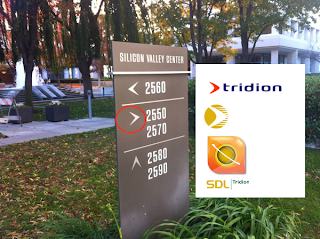 Some peculiar coincidences around the San Jose SDL office. The boomerang is very faint on the latest SDL Tridon logo, but do you see the connection?! Outside the building are blocks. Buildings and blocks, I tell you! Is that a stretch? Definitely. But I wanted a chance to post the cool red leaves around the office, which is in a pretty good spot as it's centrally located, close to the airport, and next to the commuter light rail with food around the corner. *Inside joke explanations: Building Blocks are the basic items in Tridion. 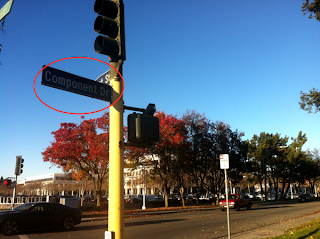 Editors create content in building blocks called components. And the boomerang has been part of the Tridion logo going way back even before computers (actually, I think it's meant to reflect the "tri" in Tridion). building blocks?? 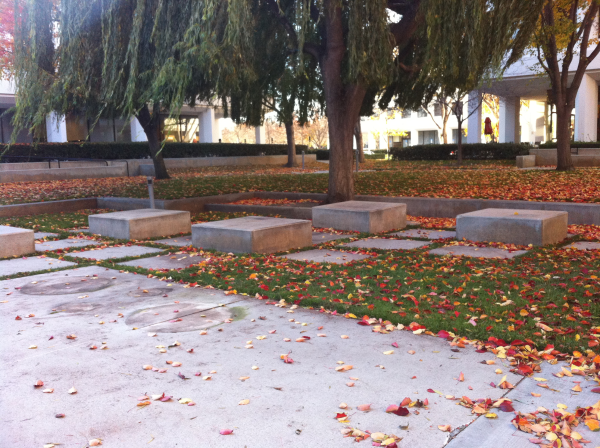 Those look like tombstones! I'm glad Tridion has NOTHING to do with tombstones, but I'm sure there could be a clever operator who could build a component to represent one. 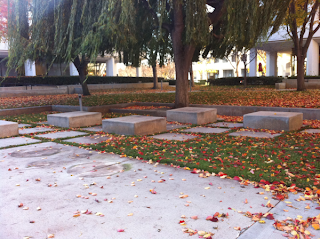 The fall-colored leaves gives the graveyard impression. Yeah they are rather freaky. They make good places to eat on, though. @ingmaru, nice perspective on "coding karma!"